In the previous post, I mentioned the difficulty of photographing waves at sea – the boat moves in tune with the waves and it’s difficult to record their size on a still photograph. 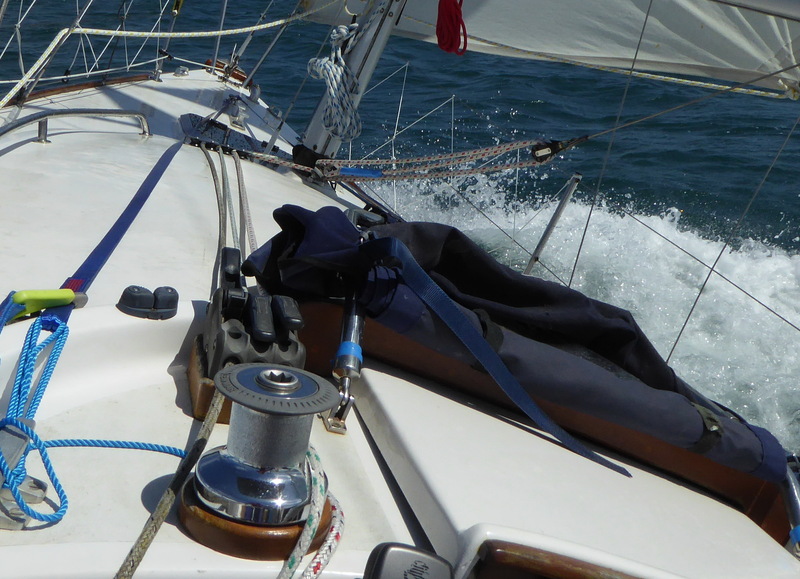 Yesterday,the wind was gusting heavily and we were at the point when I considered reefing. 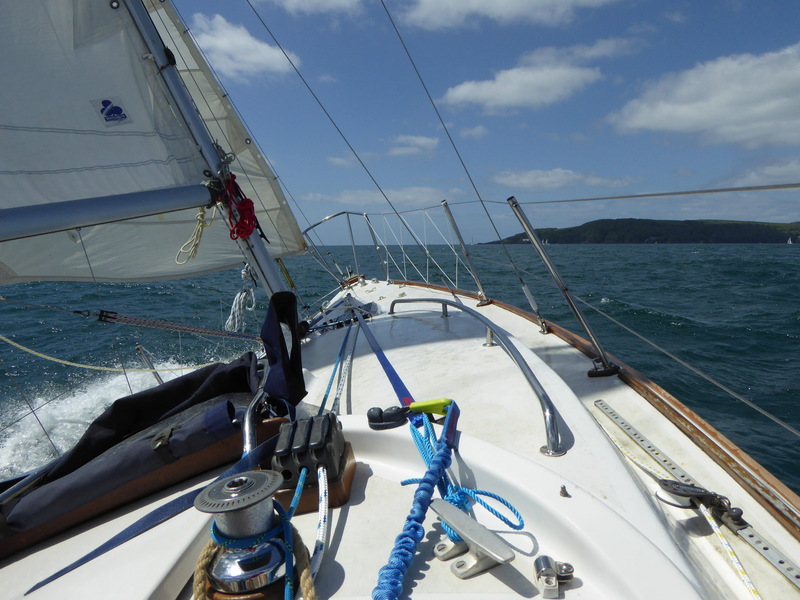 However, the sails were reasonably balanced and the tiller easy enough to control the boat with one hand while holding a camera in the other. I wondered whether it was possible to share the pleasure I was getting on the water by trying to demonstrate the pace we were going. From the several pictures I took, you need white water in the picture. I adjusted the images to level the horizon but was pleased to see the adjustment was only two or three points. 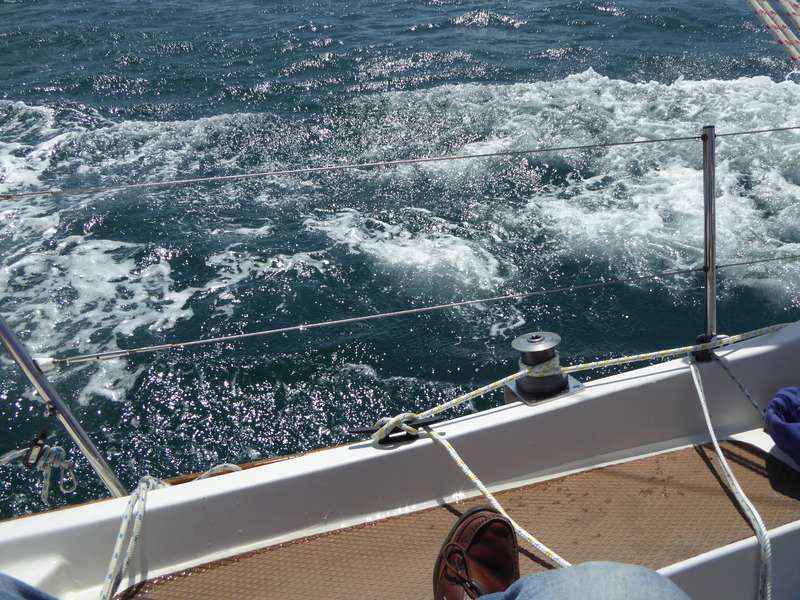 There was plenty of spray but it was landing on the foredeck. There is a little water on the lee seat but that disappears on tacking. I was wearing jeans and a canvas smock (and life-jacket) and kept dry. 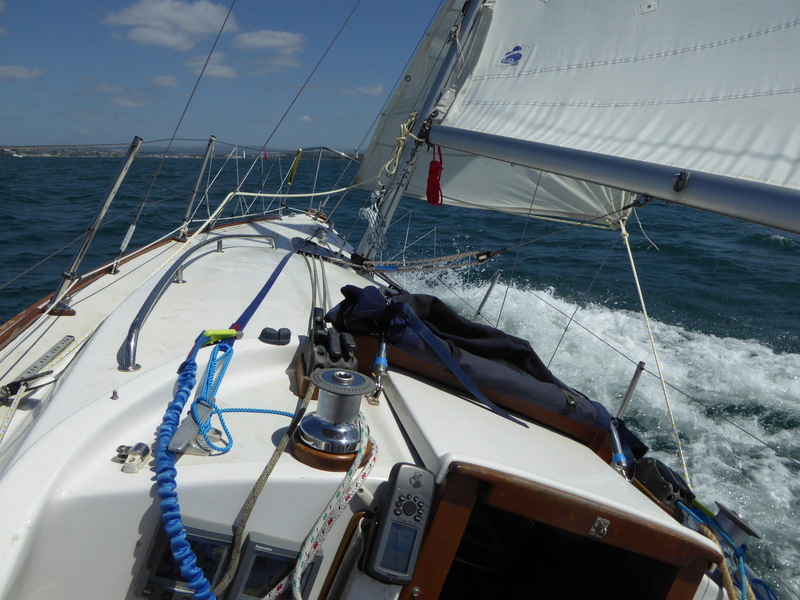 The gps reading – 6.6 knots. I raised the main to seaward of Mont Batten pier and ran out through the eastern entrance to the Breakwater on main alone. 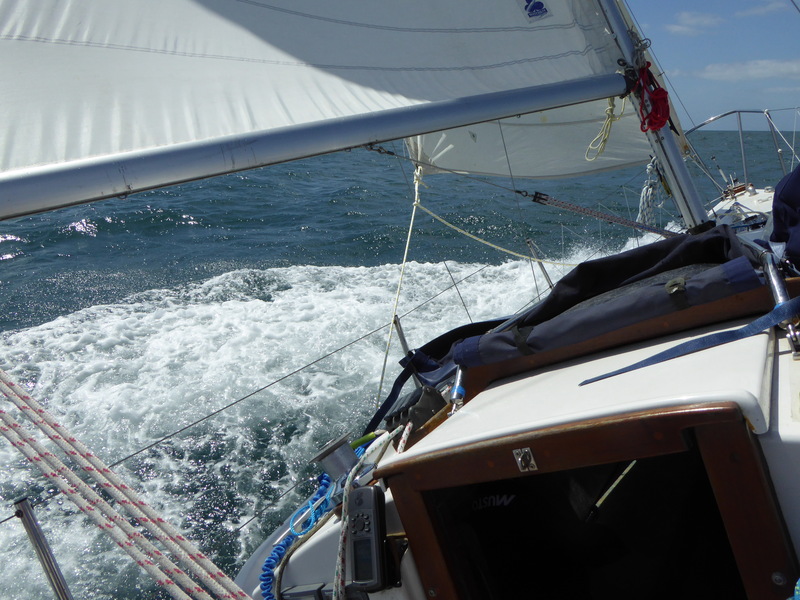 The foresail came up easily and it was broad reach to Penlee Point, then a tack and close reach back through the western entrance to Jennycliff – to lower the sails before getting tangled with the afternoon’s racing. How would it look if I crop the image, concentrating on one section of the image and taking the horizon out of the picture? By the way, remembering this is a boat with a waterline length of 19 feet, I am wary of the max speed reading on the page header – it must have been an instant involving a gust of wind, the spring tide and a wave. The moving time includes two miles or so under engine at 4 knots – from the mooring to the Sound and back.